Tesla has posted some crazy fast 0-60 numbers for its Model S, raising comparisons with supercars. But there’s more to supercars that straight-line speed. 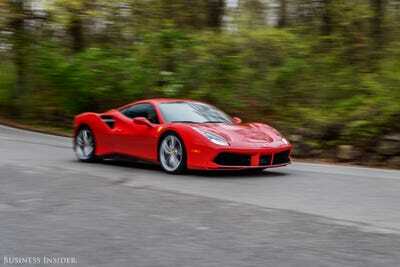 FerrariCEO Sergio Marchionne helpfully pointed this out. The Tesla Model S P100D, with “Ludicrous Mode” acceleration, can go from 0-60 mph in a mind-boggling 2.3 seconds. This has led to declarations that this all-electric four-door, a family sedan for the future, is secretly a supercar. That 0-60 speed might be faster than what some of the world’s proper supercars can achieve, but the CEO of one of those supercar brands isn’t having any of it. After Ferrari reported solid full-year 2017 earnings Thursday, Sergio Marchionne spoke with analysts on a conference call and took questions about a rumoured all-electric supercar. At the Detroit auto show in January, Marchionne said, “If there is an electric supercar to be built, then Ferrari will be the first,” and his impromptu remarks at the unveiling of the Jeep Cherokee implied that the prancing horse was aiming to take on Tesla. On Thursday, it became clear that Marchionne doesn’t think Tesla has created a real supercar (even though Tesla did unveil a new Roadster last November that, when built, will be the fastest thing on the road, with a predicted 0-60 time of 1.9 seconds and styling that’s anything but stodgy). He reiterated his “Ferrari will be first” comment, in the process taking a shot at the handling characteristic of electric vehicles. They aren’t great. The P100D is stunning in a straight line, but that makes it more of an electric muscle car than a flashy European go-around-corners demon, like, say, a Ferrari 488 GTB. “I have read some interesting analyst reports that suggest that that now that Tesla has done a car that does 0-60 mph in 2.7 seconds and there is no room for supercars,” he said. Marchionne has a point. I’ve driven the Model S in Ludicrous Mode, and while it is certainly fast, I’ve also driven the Ferrari 488, and there’s no reasonable comparison. You can take a stock 488, rig it up for racing, and run it in the 24 Hours of Le Mans. You can take a Model S to the drag strip. Apple, meet orange. Zero-to-60 performance makes headlines because it’s a neat way to deliver the “fast” message, but those in the know about performance cars understand that acceleration is but one piece of the puzzle. A useful piece, but simply a piece nonetheless. For example, the huge electric batteries that EVs have to lug around present a bigger challenge for handling than the internal-combustion components of a Ferrari, which can be moved around the vehicle’s frame to optimise balance. Ultimately, Tesla and other EV brands might produce “their” Ferraris. But for now, Ferrari thinks they have some work to do – and is convinced that its electric supercars, should they ever exist, will still be not just Ferrari-good, but Ferrari-better.